The team operates Urban Search and Rescue (USAR) dogs that are specifically available to the Scottish Fire and Rescue Service. Owing to the dangers involved in this work, our dogs, handlers and buddies must have and maintain specific skills that are taught over and above those of rural SAR. 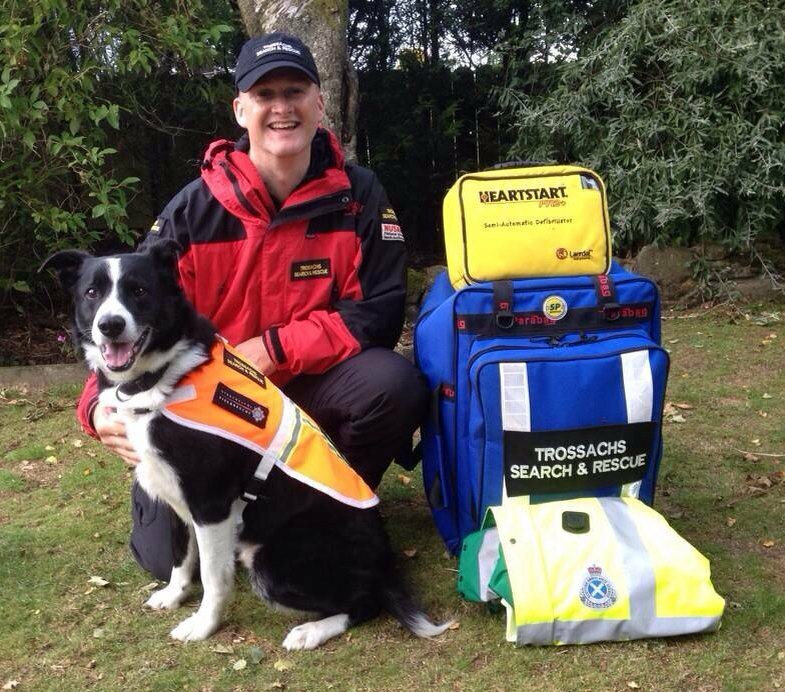 Trossachs search and Rescue Team was formed in 1998 and currently consists of 43 members - all volunteers. Team members are also trained in PPE Inspection and Maintenance, Powerboat Operations, Water Awareness and 17 team members are Scottish Ambulance Service First Responders. 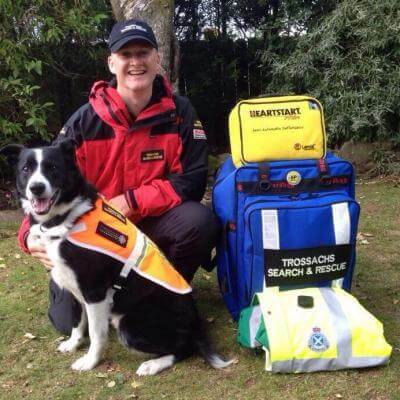 The team operates USAR dogs that are specifically available to the Scottish Fire and Rescue Service. Owing to the dangers involved in this work, our dogs, handlers and buddies must have and maintain specific skills that are taught over and above those of rural SAR. For the dogs these involve training in urban environments on a regular basis and being assessed independently according to nationally agreed standards. For handlers the training involves identifying risk areas, working with their dog to ensure that all areas are searched, that they remain safe whilst doing so, being able to administer first aid to the dog, that any interest by the dog is identified, as well as any bark alert followed up. For the buddies, the training means being fully aware of the handler and dog’s capability and work procedures, identifying risk areas, watching out for potential dangers, operating communications, logging search areas and being able to administer first aid. Membership of the team is gender balanced and there is no difference to the responsibilities, duties or skills across both genders. Our members come from all walks of life bringing various different skills to the team. Many of our members are also employed full time in the emergency services and military. We have Paramedics, Ambulance Technicians, Ambulance Care Assistants, Police Officers, Firefighters and Nurses whose skills we can call upon during training and at incidents. Other members which bring valuable skills to the team include civil servants, administrators, powerboat and watersport instructors, chefs and gardeners.